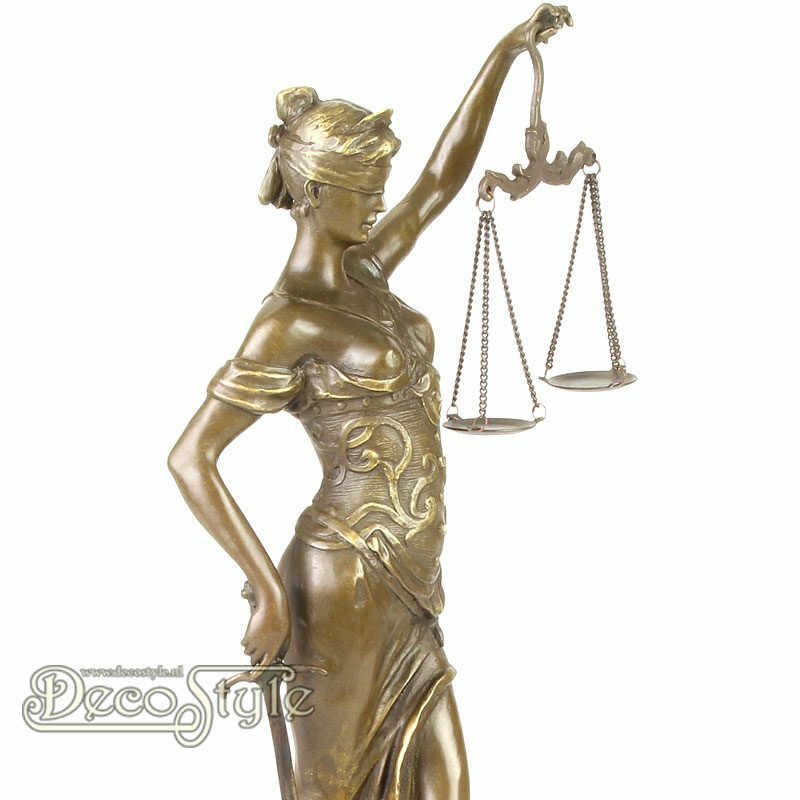 This high impressive Mythology sculpture is a stunning image of Lady Justice. Lady Justice, also known as Justitia, is the goddess of justice. 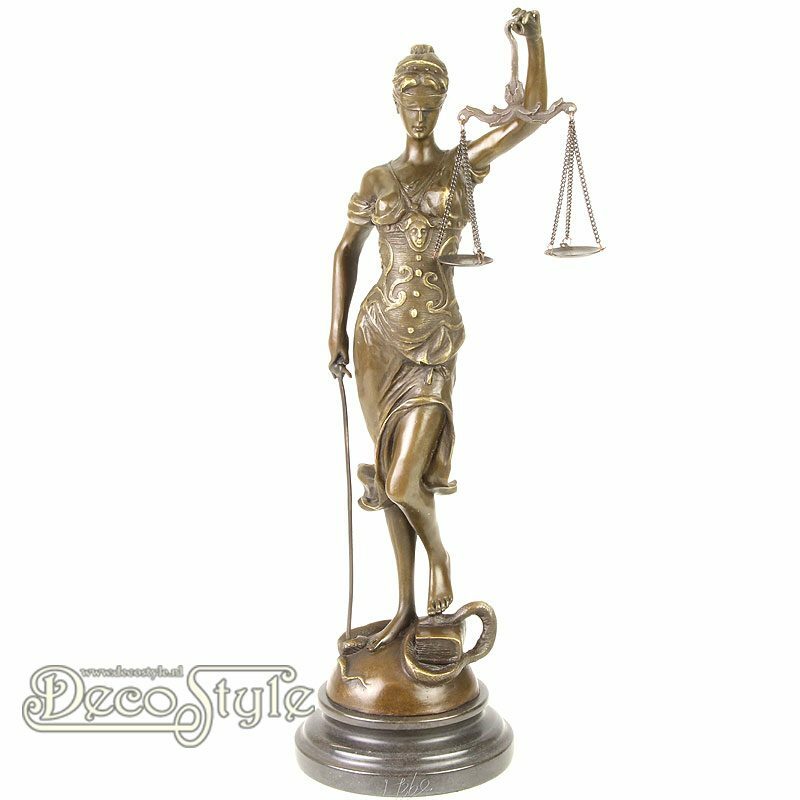 The mythology sculpture is a detailed and filigree image of Lady Justice with her ordinary equipment; sword, scale and blindfold. 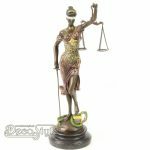 The figure was designed by Alois Mayer, who did a great job working out many lovely details like the decorated dress and the ordinary equipment. 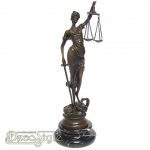 Our sculpture is made of finest bronze material and affixed on a solid marble-base. 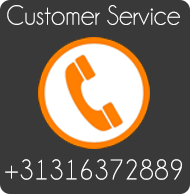 We used best quality bronze for producing this excellent bronze cast. In comparison to the original this sculpture is as filigree as possible. 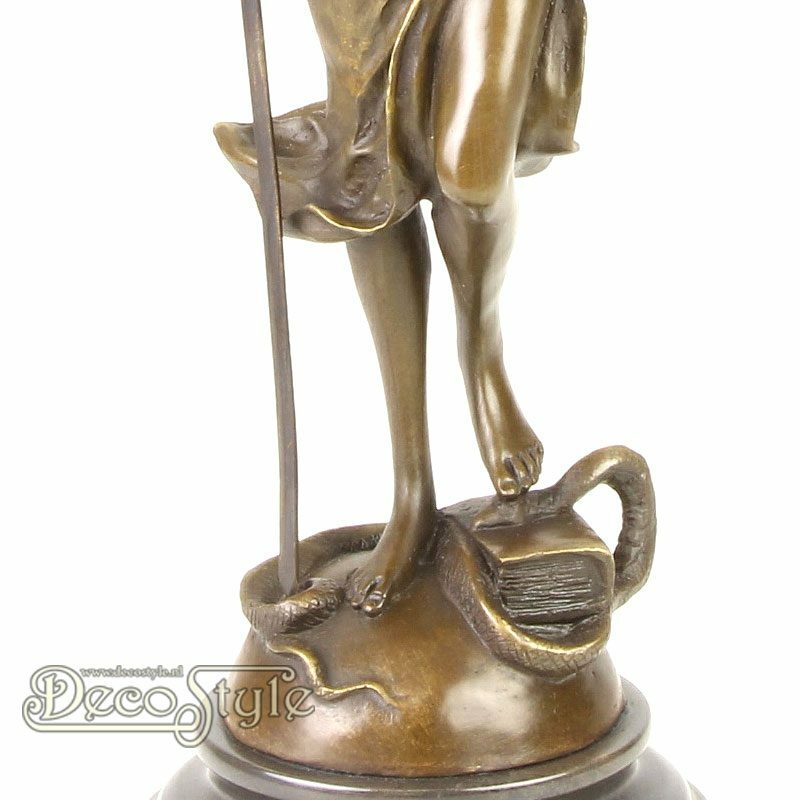 The extraordinary designed marble-base completes the mythology bronze figure in an excellent way. This wonderful sculpture was created by Alois Mayer, a German sculptor who was born on March 3, 1855 in Füssen, Germany. 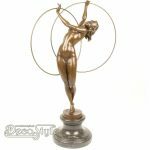 Along with statues he also worked on many different memorials and small-scall sculptures. Not much is known about this artist: he attended the Academy of Fine Arts in Munich and for a long time worked for the artist and professor Wilhelm von Rümann. 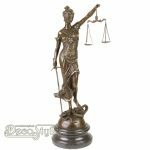 In addition, Alois Mayer was a freelancer and thus created much of the art we now can enjoy, just like the famous Justitia-sculpture we can see here. The sculptor Alois Mayer died on October 7, 1936 in Munich.